As we do every year at this time, our editors have gotten together, analyzed and discussed and argued, and come up with what we think is the Green Car Reports Best Car To Buy 2018. We covered our process in a series of articles, including one that lays out the qualifications and rules. To be eligible, a car must be fully or substantially new for the 2018 model year, and more than one of our editors must have been able to drive it. As we explained in the article announcing our three finalists this year, that eliminated the Tesla Model 3 from consideration. 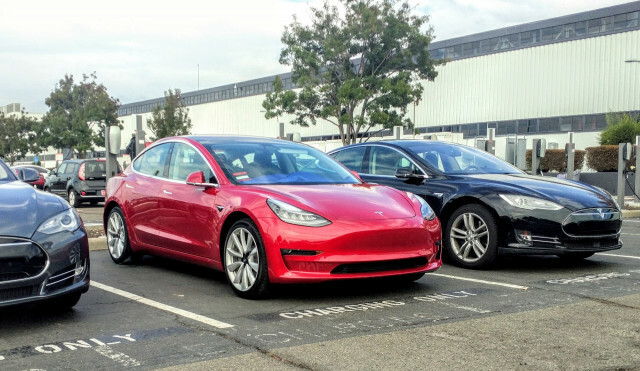 Tesla said it would not make a Model 3 available for us, and we weren't able to find a Model 3 owner—so far largely if not entirely either Tesla employees, friends, or VIPs—who'd let us into their car. So the Model 3 gets pushed to next year for consideration. Given the glacial pace of production and the major challenges the company is having, that's probably a good thing. Which car would you pick as Best Car To Buy 2018? We were curious what our Twitter followers thought about our finalists, so last week we put the three of them into a poll—and filled the mandatory fourth slot with the Model 3, clearly marked "ineligible." That apparently didn't register among poll participants, 42 percent of whom chose the Model 3 as our award winner even though it's not in the running. CHECK OUT: Which green cars didn't make the list for Best Car To Buy 2018? OK, then. We tossed out those results and turned to the votes for three vehicles or vehicle lines that actually are eligible. Among them, the 2018 Nissan Leaf emerged the clear winner, with almost half of the remaining votes. 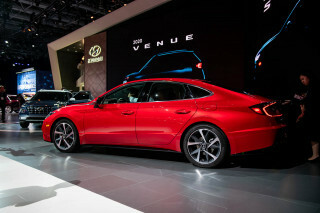 The Hyundai Ioniq lineup of hybrid, electric, and plug-in hybrid hatchbacks received slightly more votes than the Chrysler Pacifica Hybrid plug-in minivan. If we can draw one conclusion from these results, it's that battery-electric vehicles are more popular among survey participants than are plug-in hybrids. Another one might be that Tesla fans and advocates will always vote for their car, even if it's not in the running. By now, that's hardly a surprise. We'll announce the winner of the Green Car Reports Best Car To Buy 2018 award next week.